UC Santa Barbara Chemical Engineering welcomed Assistant Professor Siddharth Dey to the department in March 2017. Professor Dey's research focuses on understanding the design principles that govern how biological systems develop and function. Specifically, his group is interested in quantifying how the genome or epigenome regulates gene expression, thereby influencing cellular functions. Regulation of the transcriptome, defined as the genome-wide distribution of mRNA molecules, can be viewed as the output of a complex network of chemical and physical processes, and understanding how these processes interact and integrate to govern cellular behaviors, or phenotypes, will be a major focus area of their research. The group will be developing novel integrated technologies that enable simultaneous genome-wide measurements of the epigenome and transcriptome from the same cell to gain insights into early mammalian development, maintenance and regeneration of adult tissues and mechanisms contributing to tumor progression. They will also be employing tools from single-cell genomics to unravel the evolutionary relationship between cells, also known as developmental lineage trees, that are currently not well known in complex multicellular organisms. Reconstructing these lineage trees will offer significant new insights into cellular differentiation with important applications in regenerative medicine. 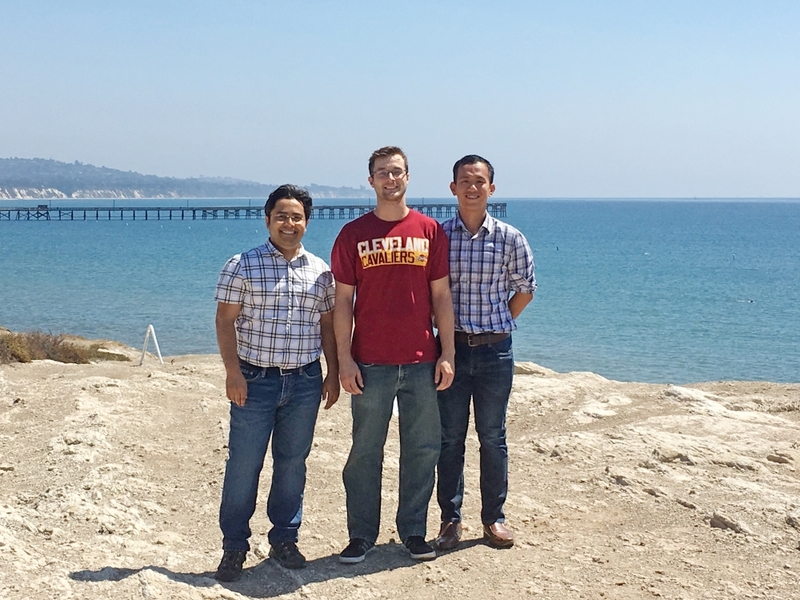 Since arriving at UC Santa Barbara in March, Professor Dey has been setting up his research laboratory and working together with graduate students Alex Chialastri and Chad Wangsanuwat. His group recently moved to the new Bioengineering building in October 2017. He is excited about working together with the Center for Bioengineering (CBE) to bring engineering and biology groups closer together, to study both fundamental and applied questions in biology and bioengineering. Professor Dey comes to UC Santa Barbara from Alexander van Oudenaarden’s group at the Hubrecht Institute in The Netherlands, where he was a postdoctoral scholar. Prior to that he received a PhD in Chemical and Biomolecular Engineering from the University of California, Berkeley, and a BS in Chemical Engineering from the Institute of Chemical Technology. Click here for more information about Professor Dey, and his research.